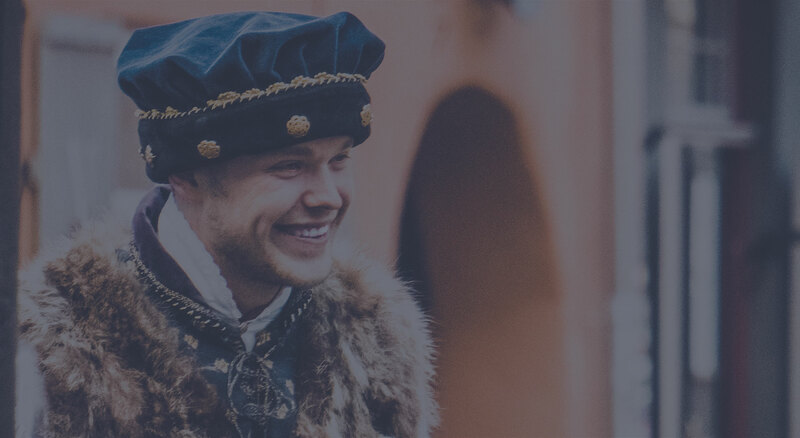 We offer guided tours with professional Medieval actors. Daily free tours and tailor made Medieval experiences. For the first time in history you have the opportunity to follow in the footsteps of the glorious Hansa Merchants. Travel 8oo years back in time to witness how Reval became the gateway to the Eastern riches. In the name of the Town hall, you will be taken through the narrow streets and tall towers of Reval by Wilhelm Weltwanderer – traveller of the world and a local shopkeeper at the old market square. So do not hesitate to join mit Wilhelm on his daily walk. This is a great opportunity to capture the best moments of the whole event. At the end of the tour the guests will have a photoshoot in the Old Town Square with all the involved actors. After the tour the guests will follow Wilhelm to the wealthy merchants house - Olde Hansa and will taste 4 different types of handcrafted medieval beer. Wilhelm will keep the guests entertained during the degustation. The guests have the opportunity to put together a performance for their needs. This means, when you need something extraordirary we can bring the medieval times alive just for you. After the tour the guests will follow Wilhelm to the wealthy merchants house - Olde Hansa and will take part in an authentic feast.